Published in the run-up to the 2008 Beijing Olympics, and amid the increasing hype of London 2012, Margaret Timmers’ A Century of Olympic Posters looks at the evolving iconography of the modern Olympics, from the 1900 Paris Games to the present day, and supplements the exhibition of the same name which she has curated for the V&A’s Museum of Childhood in London (until 7 September). Olympic posters are designed to advertise the events for an international audience and provide symbols of public and national pride. They draw on a specific terminology with two main elements: figurative, including significant symbols of the host city, such as flags, public monuments and cityscapes, and graphic, focusing on either a representation of the city or a design featuring the Olympic rings. The most famous Olympic identities are those for Berlin 1936, Mexico 1968 and Munich 1972, but some of the more appealing posters are those of early, alternative or cancelled Games. Timmers makes interesting comparisons between the forceful German nationalism of Franz Würbel’s official poster for the Berlin Games, in Nazi-run Germany, and the socialist internationalism of F. Lewy’s for the alternative 1936 Olimpiada Popular (People’s Olympics) in Barcelona, cancelled because of a military uprising. In contrast, the official poster by Fritz Hellinger and the photographer Keerl for the 1948 Winter Games in St Moritz, Switzerland, draws heavily on the Swiss travel poster and traces of the two-dimensional approach of the ‘Swiss school’. 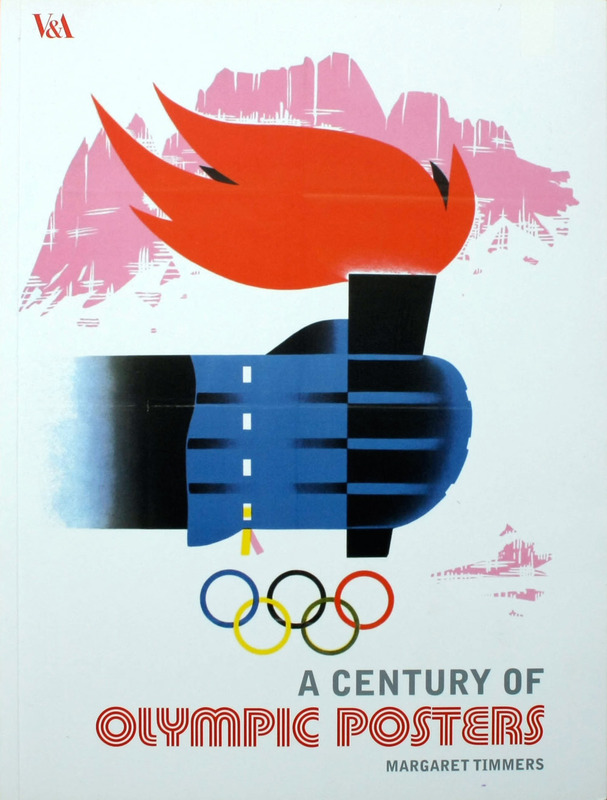 Top: A Century of Olympic Posters. 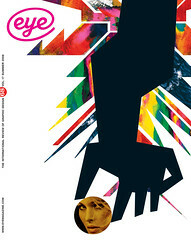 The front cover reproduces a poster for the 1956 Winter Olympics in Cortina d’Ampezzo, designed by Mario Bonilauri.